All Indian weddings are larger than life affair. Such a mega event is always complimented by the location the couple chooses. 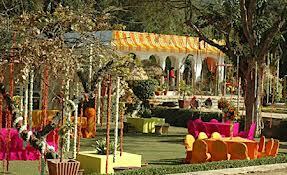 India is the hub of the most elegant and diverse wedding destinations in the world. What do we have, you asked? Well, what do you want? 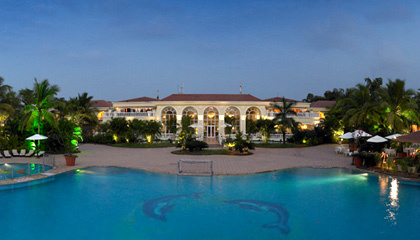 From beaches and backwaters to forts and palaces, we have everything that will make your dream wedding a grand success. Celebrate your wedding with us and make it the most cherished affair. Goa is considered to be one of the best places for a destination wedding in the country. Tourist just flocks to its beaches and tie the knot. For your perfect wedding just hire a wedding planner, preferably local planners because weddings require prior permission and they can help you out with it. Luxury hotels like Varca Beach and Morbor Beach in the southern part of Goa are the most ideal place rated for beach weddings. 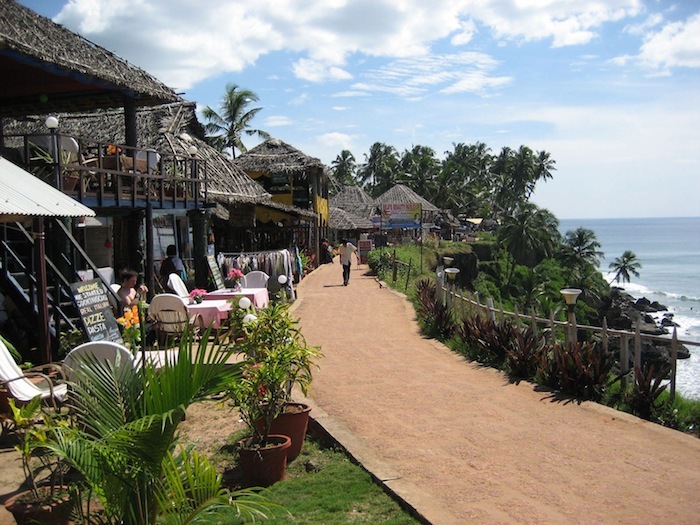 But, if your choice is to have a quiet garden ceremony, you may opt for resorts near Palolem Beach in south Goa. Rajasthan needs no introduction. It has wooed not only Indians but Hollywood celebs as well. Hollywood biggies just love to get held back here, because of its grandeur and royal feel. Jaipur, Udaipur and Jodhpur top the venue list in choosing a wedding destination in this state Book any of these ethereal venues and feel like a royal prince or princess on your on D-Day. Considered the luxurious wedding destination in India, Udaipur is famous for its palaces and lakes. The city possesses the most beautiful blend of modernism and tradition to provide the perfect setting for your dream wedding. Choose from the most exotic fort locations like Taj Lake Palace, Devi Garh, Oberoi Udaivilas, Trident Hilton, Durbar Hall at Fateh Prakash Palace, Manek Chowk etc. Pink City, Jaipur has been a permanent favorite for marriages owing to its diversity of locations. Wedding sites are many – from real ornate palaces to ancient, well-maintained mansions. Choose whatever you want. If you are low on budget you may always consider the old mansions. They are ideal venue for marriages too. Mandawa Haveli and Alsisar Haveli are always in high demand. 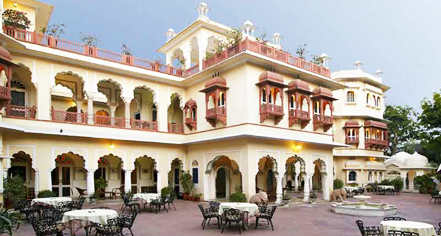 Again, if you want a quite marriage, Samode Palace (a heritage site away from the main city) in most ideal. If you are wondering about wedding destinations in Jodhpur, Umaid Bhavan is considered to be the epitome of luxury for destination wedding. This location is quite famous for celebrity weddings and rather has a modern look inside. 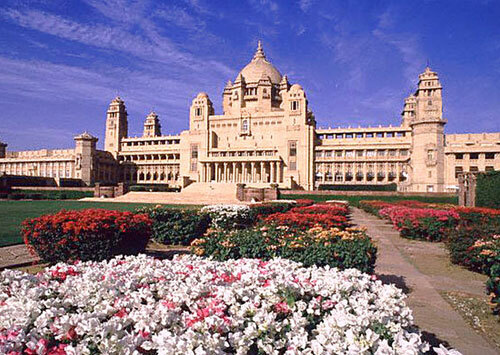 Umaid Bhavan, one of the finest wedding venues in Jodhpur that dwells in extravagancy. 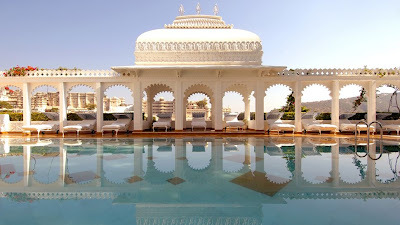 Ajit Bhavan, Balsamand Lake Palace, and Ratanada Polo Palace are a few other places that are famous. Kerala is another most sought after wedding destinations. Famous for its coconut palm lined beaches, tranquil stretches of backwaters and houseboats most couples plan their perfect wedding here. The resorts in Trivendrum, Alleppey, Kovalam, and Kochi provide you with ample options to choose your wedding venue. They make sure that they fit you according to your requirements, tastes and budgets. India is rich in diversity. So, when it comes to celebrating your wedding you may have it all – from traditional places, contemporary monuments, historical palaces to exotic beaches!